Once you invest in cast iron cookware, you will have no idea how you ever cooked without it. 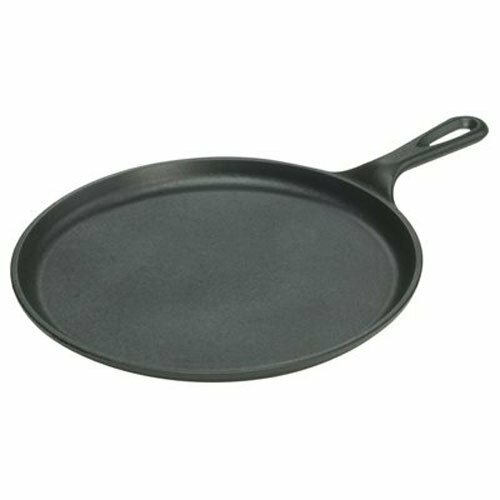 If you want a non-stick surface with superior heat retention for searing, sautéing, simmering, braising, baking, roasting or frying – cast iron is the way to go. You may already have a cast iron skillet, but have you considered a cast iron griddle? It is perfect for making hearty foods like pancakes, pizzas, quesadillas and grilled sandwiches. The heat retention aspect means you can even take it to a campfire. This cast iron griddle is over half off right now. And it is pre-seasoned with vegetable oil even baked into the surface…it’s ready to use as soon as you get it! Since Joseph Lodge opened a cast iron foundry in 1896, Lodge has been making cast iron products in South Pittsburg, Tennessee. Lodge remains a family-run, American company to this day – one with over 100 years of cast iron experience.